As usual, we start with the looks. 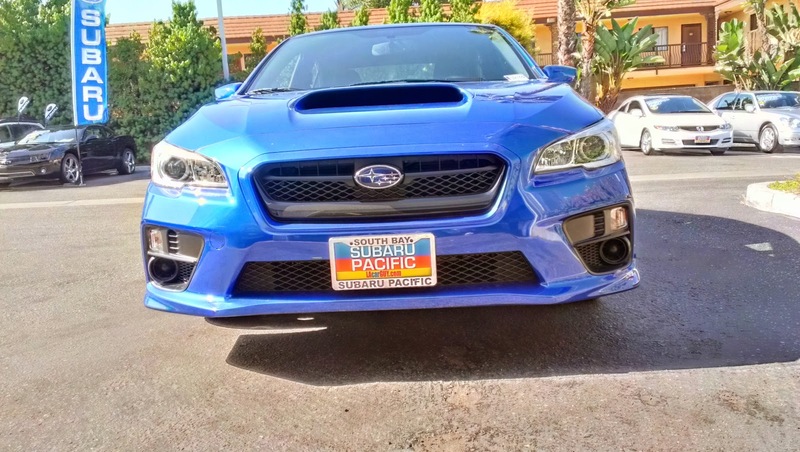 For many, the WRX has always been a "you have to warm up to its looks" kind of car. Besides the "bug eye" look of the generation we first got here in the States, I have always liked the look of the WRX, and I think this generation is the best looking WRX yet. The exterior is a bit more conservative than previous generations, but I think the conservative looks help accentuate the aggressive looking front end. Yes, it looks kind of like an angry shark, but that also seems to be kind of the point. The base model I tested comes sans rear wing, which is perfectly fine in my book. If you do want a rear spoiler, you only have to move up one trim level, and you get a tasteful lip spoiler that complements the car's lines quite well. My only complaint with the looks are the 17 inch wheels. They look small in the wheel wells, and there is no 18 inch wheel option at the moment. 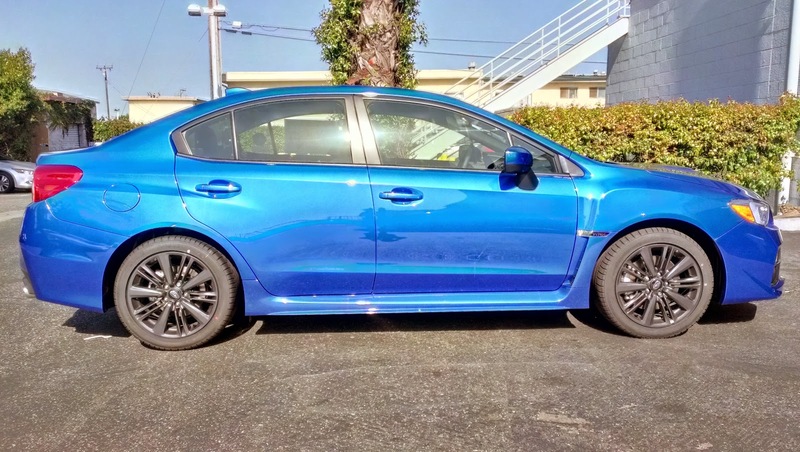 Moving up to the more expensive, but also more powerful STI version is the only choice if you want bigger wheels. The interior is definitely a big improvement over last generation's. Rather than the cheap rental car plastics that littered the old version, this new generation version uses a fake carbon fiber trim. Sure, it is not the real stuff, but it looks good and works well at taking your focus off the regular plastic trim. Take the radio for example. It is essentially the exact same head unit as from the previous generation. Surrounded by the carbon fiber trim, it looks less cheap! Subaru also fit the car with a beefier feeling, flat bottomed steering wheel. This wheel both looks and feels much better than the one from the previous generation. As for the rest of the interior? It feels about the same as the previous version. 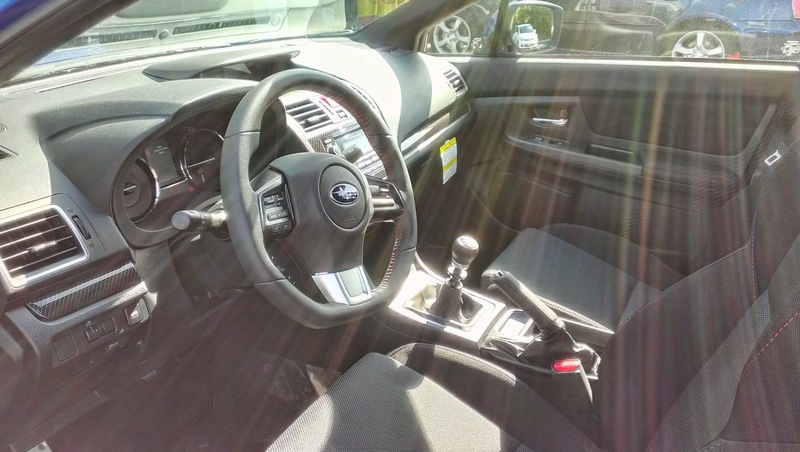 Good job, Subaru, for taking the effort to class up the interior a bit. The new engine and six-speed transmission are very good. Under 3,000 rpm, the updated engine putters along fairly quietly without ever feeling like there is a lack of power. Once you hit 3,000 rpm though, the boost from the turbo comes in and the WRX suddenly becomes a rocket ship. The feeling of the car suddenly rocketing forward is intoxicating, and every chance I had to push the car past 3,000 rpm during my test drive, I did. The new six-speed transmission feels very precise, but plasticky. It sort of feels like you are operating a bolt action rifle, but the bolt is made out of plastic. On the other hand, the clutch was excellent. It felt about just as heavy as my S2000's clutch and pedal travel was reasonably short. If Subaru could some how transplant the BRZ's six-speed into the WRX, it would be perfect! So far, it sounds like I have pretty much fallen in love with the new WRX, right? Unfortunately, there are two major things about the WRX that Subaru somehow botched up. The first has to do with acceleration. Even though the new engine and transmission are great, the gears feel short. The shorter gears hurt acceleration because the car can no longer hit 60 mph in second gear like the previous one could. As a result, you must shift into third gear to reach 60, and that gear change hurts acceleration. The result is a 0 to 60 time that is nearly a full second slower than the previous model. Thankfully, as you continue to accelerate, the gap between the new and old car closes. Handling is my other major complaint. When I test drove the previous generation WRX in sedan form, I noticed that the car seemed to exhibit quite a bit more body roll than the five-door version. This led me to feel much more confident when cornering while driving the five-door. 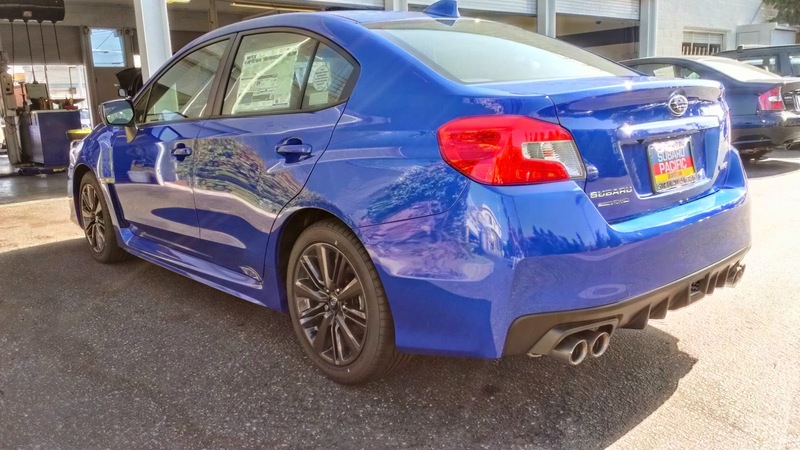 When the new WRX debuted, I had expected Subaru to fix the body roll issue that plagued the previous generation's sedan. I was both surprised and very disappointed when the car still exhibited quite a bit of unnerving body roll. 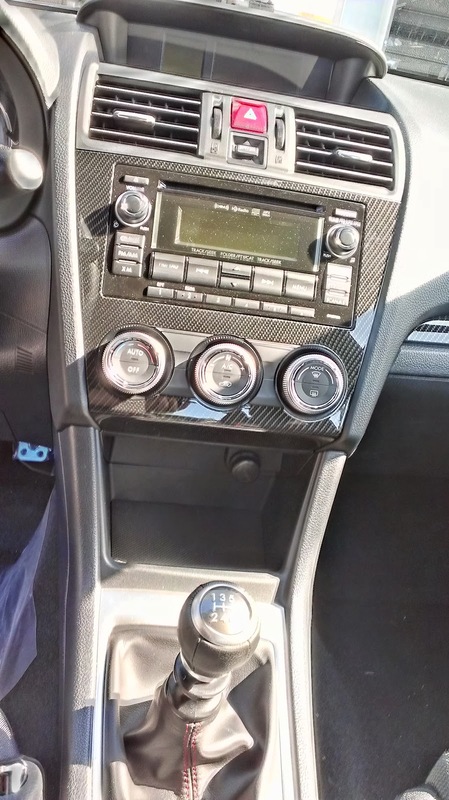 Either not enough people complained about the previous WRX sedan's body roll problem and simply turned to the aftermarket to fix it, or Subaru simply did not care. I really do hope it is the former, because Subaru does seem like a company that genuinely cares about its customers. Maybe when the next model year comes around, the problem will be fixed. Even with the handling and gearing problems, do I still like the new WRX? I do. I just would not buy one right now. I had hoped that the latest WRX would be quicker and more nimble than its predecessor, but Subaru was unable to meet either of those criteria. Even though the car looks better, the interior is greatly improved over the previous generation, and the gas mileage has improved, I find it difficult to justify buying a brand new performance car that is slower and does not handle as well as its predecessor. 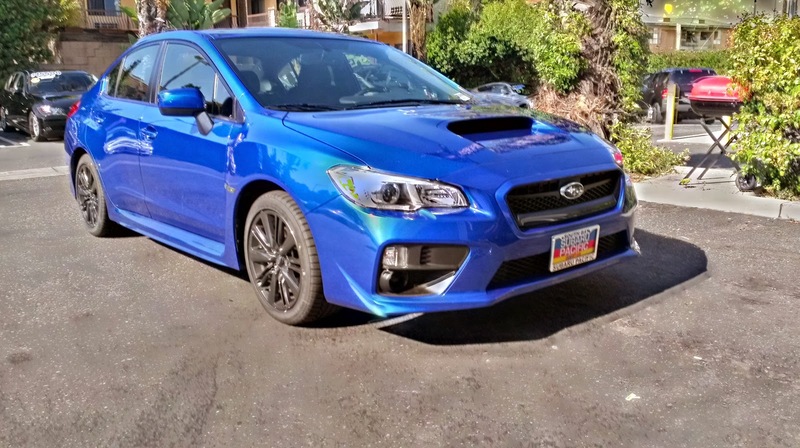 At this point, getting a heavily discounted 2014 WRX five-door seems like a better buy than splurging on a 2015. Even though the interior will not be as refined, and the gas mileage will be lower, you will at least be getting a five-door hatchback that will do a mid to high four second zero to 60 sprint, and will handle like a champ. Hopefully by the time the next model year rolls around, Subaru will have fixed the gearing and body roll issues. Until then, you can always save up a couple extra thousand dollars and get a shiny new WRX STI instead. Special thanks to Subaru Pacific for letting me check out one of their brand new WRXs.